Similar to pictures, smiles are worth a thousand words. A smile can light up a room and covey a plethora of personality traits and emotions. A bright, vibrant smile can have a dramatic effect on the personal and professional aspects of your life, so it is important to take great care of your teeth. However, even with optimal brushing and flossing habits, teeth will experience discoloration and yellowing. So, how can you retain a pristine, luminous smile? The offices of Joe Isaacson Dental, located on Oklahoma City, OK, offers comprehensive treatments from the best cosmetic dentist in the area. Your smile is important and it says a lot about you. Dr. Joe Isaacson, a seasoned professional with over two decades of experience, and his crack team of dental masters are passionate about providing beautiful, bright smiles for every patient that comes into our office. Food and beverages stain teeth, and yellowing occurs naturally, which is why we provide several treatments to combat these issues and restore the white, bright smile you deserve. With our unmatched cosmetic dentistry, we can ensure your teeth are pristine and glowing, and your smile is absolutely stunning. Zoom! Teeth Whitening: If you are tired of having stained or discolored teeth, we can apply Zoom! to your teeth and lighten teeth up to 14 shades. The whole process takes about an hour. Lumineers: These thin porcelain shells are designed to maximize beauty and durability of teeth. Lumineers can correct chips and cracks in teeth, mask misalignments, and cover stains. Invisalign: For those seeking straighter teeth, Invisalign can position your teeth in the proper place without forcing patients to deal with traditional braces. Invisalign comes in the form of clear, customized aligners. 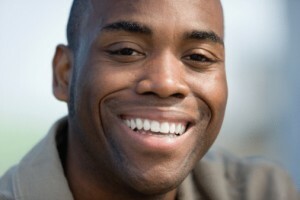 White Fillings and Crowns: If you have a damaged tooth – i.e. tooth decay – we can restore strength and function with natural-looking crowns and fillings. Laser Dentistry: Our lasers can remove diseased gum tissue, remove excess gum tissue, and relieve the pain of cold sores and mouth abrasions. Are you ready to achieve the smile of your dreams? Our advanced dentistry can provide a smile that you can be proud to show off. Contact us and schedule your appointment with our stellar team today. We are proud to provide our services to those who reside in Oklahoma City, OK, Edmond, Yukon, Piedmont, Mustang, and the neighboring areas.